i wonder if its this what they call "hot wheels"
Japan, on the cutting edge of transportation. Just watched that video posted...OMG that is so fkn hilarious. still wondering what is thier pit crew doing when the car enter the pit again. 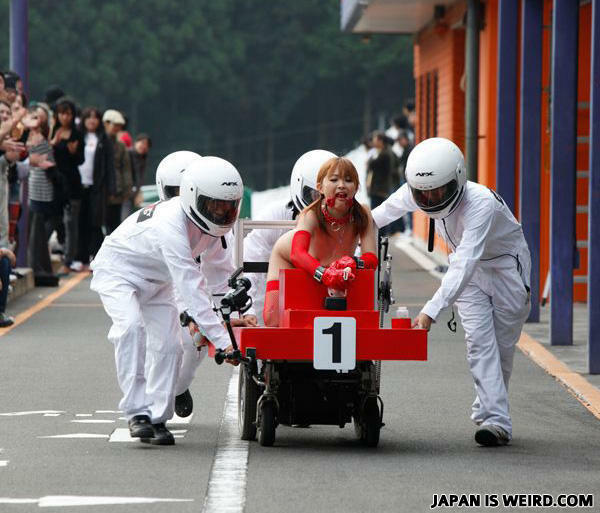 It's just Japan cousins of STIG . I thought it wos a lego racing car, till i took a closer look. Q:why is walmart so big?